The image of a red-gloved golden kangaroo on a green background originally became an Australian icon when the Boxing Kangaroo flag was flown as a battle flag on our America’s Cup winning yacht, Australia II, in 1983. 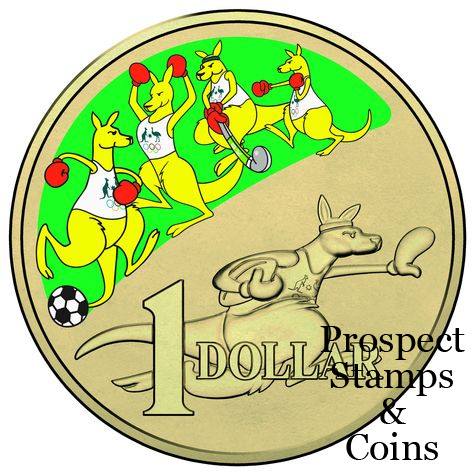 The Boxing Kangaroo quickly became recognisable worldwide as a symbol of the Australian fighting spirit. Today, it remains a powerfully emotive rallying point for Australian sporting pride. Becoming the official mascot for the Australian Olympic Team in 1993, this image has become familiar to all Australians as the symbol of sport and fair play in schools around the country. 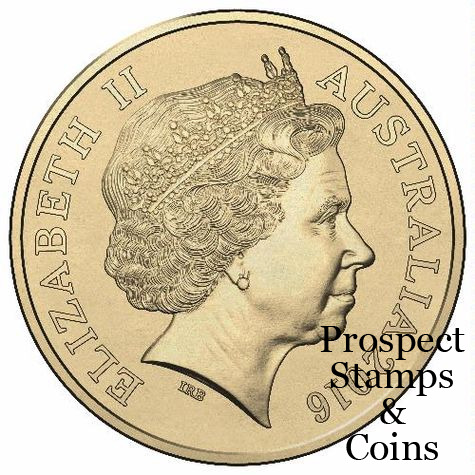 The colourful design is also a playful take on Stuart Devlin’s much-loved 1984 ‘mob of roos’ design that we see today on Australia’s $1 coin. 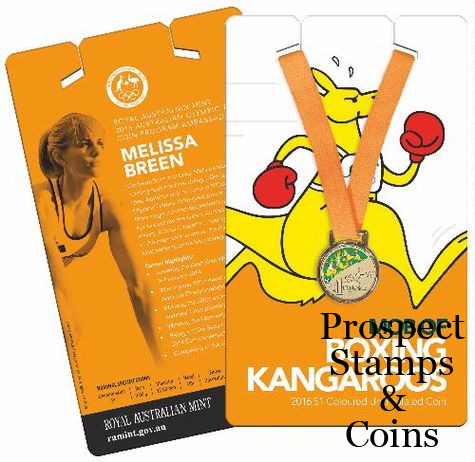 Olympians and coin program ambassador sprinter Melissa Breen feature on the packaging card sharing her story for the road to Rio.